According to the order, RMDR leased the property from 429 Bourbon Street beginning in January 2006, operating Babe’s Cabaret there for a decade. The lease also provided for 20 percent of the annual gross sales income of RMDR to be paid to 429 Bourbon Street, but the company allegedly reneged on the deal. It also allegedly failed to pay the monthly fee for renting the facilities. RMDR changed ownership in 2009 and the company amended its lease with 429 Bourbon Street, which required the company to maintain and preserve records for a minimum of three years. The amendment also required RMDR to provide a monthly gross sales estimate and balance sheet. It also provided for periodic audits and review of sales tax statements. While RMDR did make monthly rental payments, 429 Bourbon Street ultimately was forced to hire an independent accounting firm to review the company’s books. Under terms of the lease, the accounting firm allegedly determined RMDR had shorted its rent by $605,882.91 from January 2012 to December 2014. When interest and penalties were added, that total exceeded $850,000. 429 Bourbon Street demanded the delinquent payments and ultimately filed a petition for eviction, charging that RMDR breached its lease as well as subsequent amendments. A district court judgment entered on May 31, 2016, ordered RMDR to vacate the property by June 6, 2016. 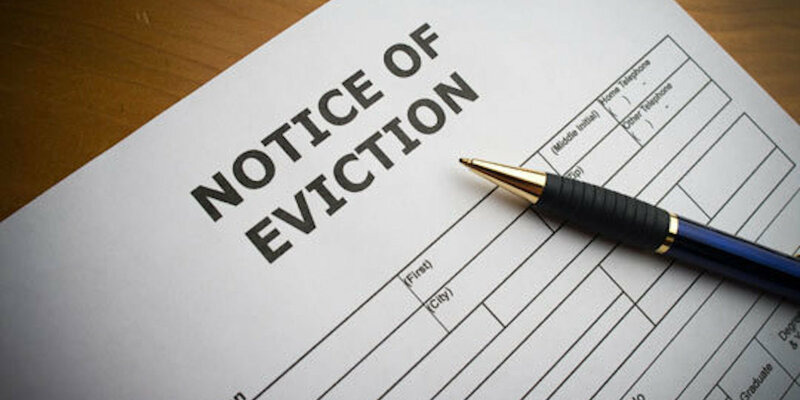 RMDR filed an appeal, alleging the district court erred when it ordered the eviction. The company claimed 429 Bourbon Street had accepted financial records for years and noted there was no proof the records it provided were insufficient. Moreover, RMDR also claimed that there was no proof that it underpaid rent or that alleged illegal activities took place in the building. Lombard wrote in the Oct. 17 order that RMDR’s arguments lacked merit. “The district court further noted that RMDR failed to comply with the Amended Lease when it did not produce monthly statements signed by an RMDR officer,” he wrote. When 429 Bourbon Street’s owners asked RMDR to send statements directly to them and not to their counsel, the company allegedly simply stopped sending statements. During the independent review of RMDR’s books, it was discovered that some records had been destroyed, ostensibly to protect customers’ information. This was in violation of the lease requirements that records be retained for at least three years. The court also noted that leases are binding contracts that appellate courts are obliged to give full legal weight to. The company also claimed that some of its “sales” were actually cash advances paid out, leading to an inflated total in the independent audit. “The crux of RMDR‘s argument is that it made cash advances, which are not sales,” Lombard wrote. The company maintains that Debbie Sawyer, the CPA who performed the review, erroneously included the cash advances in calculating RMDR‘s sales. That figure was allegedly uncovered by Jack Theriot, manager of the cabaret, during his review of financial records. Beginning in 2009, RMDR claimed it allowed customers to obtain cash advances on their credit cards, noting that it is a regular occurrence at gentlemen’s clubs, which are cash businesses. “The district court explained in its reasons for judgment that RMDR‘s failure to maintain and produce its records influenced the district court‘s determination that RMDR also underreported its income,” Lombard wrote. Ultimately, the court affirmed the May 31, 2016 judgment of the district court.